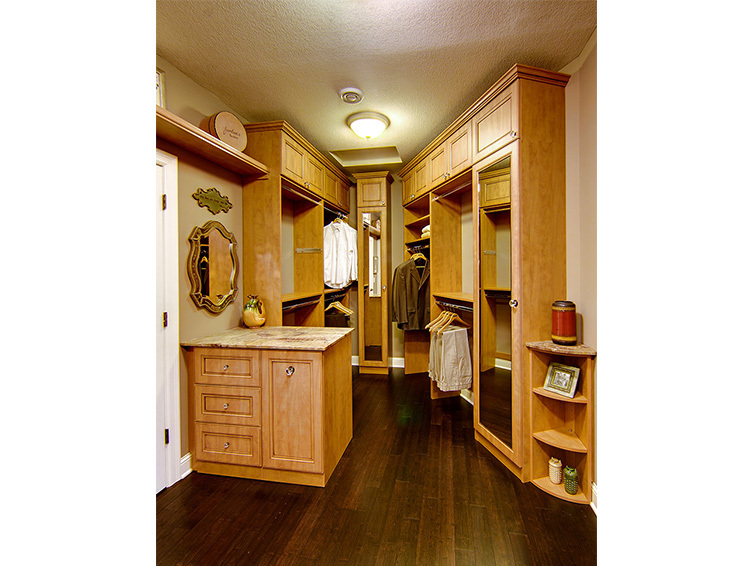 This was a custom walk-in closet design and installation project that presented a challenging location. 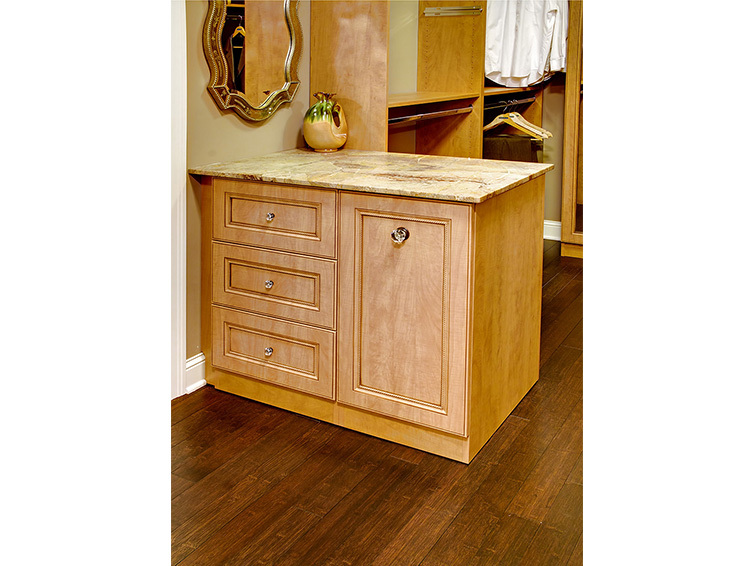 The homeowners struggled with the entrance to their master bedroom and bathroom. To get to either room they had to pass through a messy closet area without sufficient storage. It was an eye sore to the homeowners and impacted their enjoyment of the house. Their overall project goals were for the area to have a romantic, warm feeling and for it to be more of a room than a closet. 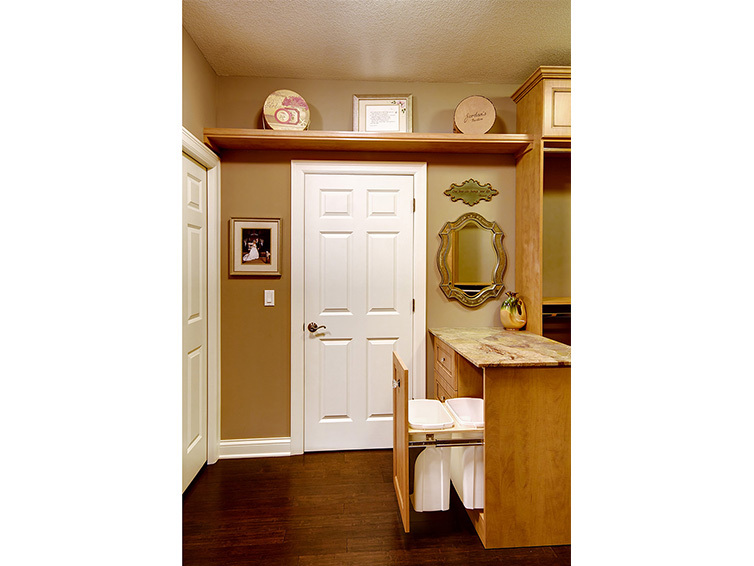 Specifically, the homeowners wanted a neat space without clutter or mess that continued into the bathroom and bedroom. 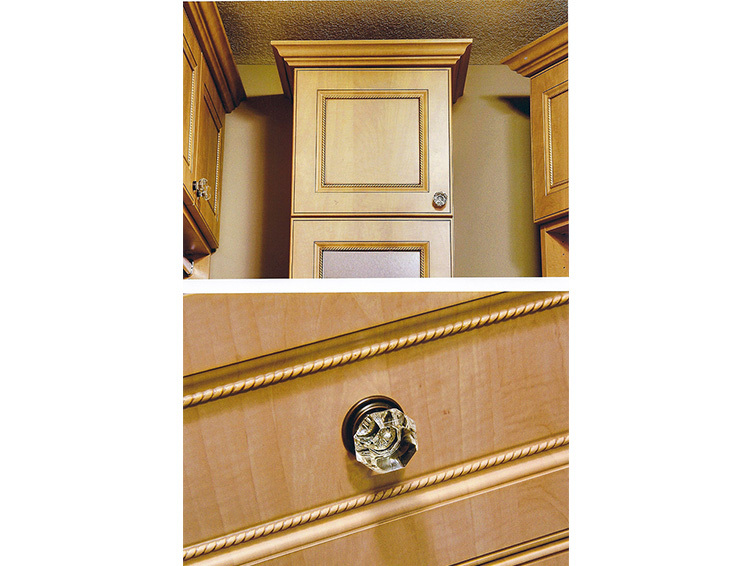 They also wanted the organization pieces to look like cabinets or dressers instead of just a closet organizer. The homeowners were overjoyed with the result. 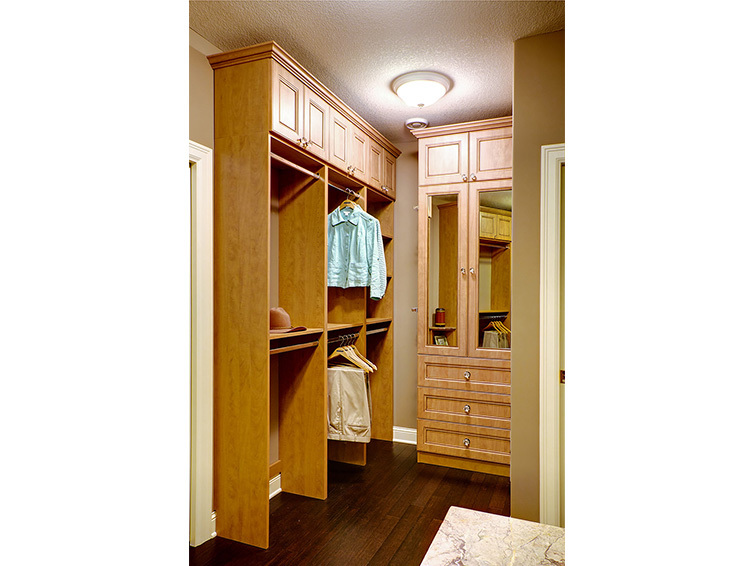 As they requested, the closet area stands on its own as a warm, romantic and inviting space yet, through intelligent design choices, still flows seamlessly into the adjoining bedroom and bathroom.